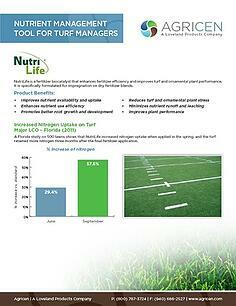 NutriLife is a fertilizer biocatalyst that enhances fertilizer efficiency and improves the performance of turf and ornamental plants. 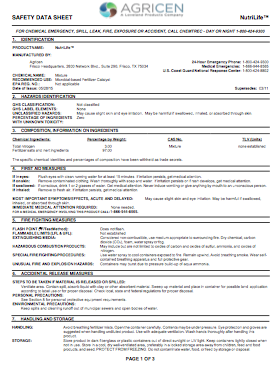 It is specifically formulated for impregnation on dry fertilizer blends. 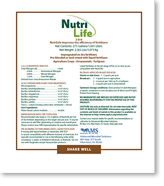 NutriLife improves the conversion of applied fertilizers and soil nutrients into plant-available forms. 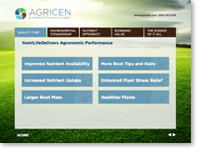 This helps turf and ornamental specialists–from golf course superintendents and sports turf managers to professional lawn care operators–get the most out of their fertility programs by improving fertilizer efficiency, reducing plant stress and helping to minimize nutrient runoff and leaching.